So I have been thinking about writing this post for a while & now I’m finally getting to it. In light of a lot of people paying attention to the extrajudicial murders of Black men in the news (& all the Black women being murdered by both the police & Black men but I see the reactionary cishetpatriarchs are ignoring that) a lot of people are open to trying to find out more about their Blackness, our history, and understanding how we got to where we are today. Unfortunately reactionary cishetpatriarchal Black men & Black women are taking advantage of these interests & are directing many to hegemony painted in Black. So in light of these misinformation campaigns, I decided to list out key texts on understanding race, ethnicity, & how white supremacist racism works as well as some ACTUAL documentaries that do a way better job at providing historically accurate information as we attempt to decolonize & move forward towards equitable political liberation for all. This blog post serves the purpose of serving as a teaching tool that provides information & links for: (a) someone who is unaware about these topics &/or (b) a quick link for those who want to help the those who don’t know. But before I list out these texts & documentaries, I want to clear the air on somethings I see going around on social media that are extremely problematic. The fact is Black nationalism understands Black people in the United States as a nation of peoples, which is problematic because where did we come from? What land do we own? How can you situate the liberation of Black people in the U.S. on NDN/Native/First Nation/Indigenous erasure? How can you completely ignore the fact that the United States is a settler colony & its genocide of NDN peoples? & why should we define our nation based on where we happened to get dropped off at & boundaries defined by our colonizers? Are the struggles of peoples of African descent ONLY in the United States? 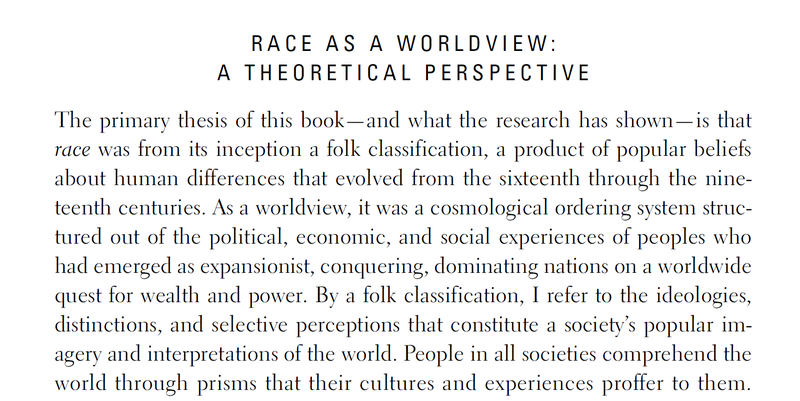 Is the racial category of Black the only means by which we define ourselves? What economic structure & government system is supposed to be at the core of this Black nation that takes land that belongs to First Nations peoples? The most important of these conferences was the 5th Pan-African Congress which took place in 1945. There the participants declared that imperialism had to end on the African continent and that their revolution against imperialism and colonization must be coupled with mass organization and a turn towards scientific socialism. This is where Pan-Africanism gained its mass socialist nature. Kwame Nkrumah and other African revolutionaries from then through the decolonization period sought to bring African nations together to create an All-African Revolutionary Government which would rid African of all colonial influence and control. However many nations who were either in the pockets of European capitalists or ultra-nationalists refused to surrender their sovereignty to any larger African formation. (2) Too many of our people don’t know what racism/white supremacy actually is. So here is the definition: white supremacist racism is defined as a system of power based on the supremacy & dominance of “White” people. “White” is a political concept created by the European & colonial ruling elite of the 17th & 18th centuries that is revealed in attitudes, behaviors & institutional systems in which white people maintain supremacy over peoples of color. Human beings create & maintain the systems which, in turn, reinforces white supremacist racism. There is simply NOT enough time in the day for me to list out the problems with the Hidden Colors films & the hegemonic narratives that they perpetuate let alone get into the dangerous things the directors of the films has done in the name of ashy ankh-ery. So instead I will list out some of the general problems that these films perpetuate ( & yes I did suffer & watch this mess before, I had to burn some sage afterwards to cleanse my home afterwards). The main point here is the Hidden Colors films engage in a reductionist history & clean narratives of race & the state of Black people across the world. (1) The film makes a big mistake of thinking that saying key historical figures weren’t completely white & were part Black is a solution. Quite frankly its not, its useless. Human beings (Homo Sapien sapiens) have been ‘mixing’ for thousands of years prior to the creation of what we know of as race. & to change the color of the skin of historical figures or emphasize a particular heritage does nothing for us now, its reactionary, it doesn’t save any lives & creating a “Black version” of revisionist history isn’t a solution if what we want is the truth & liberation. (2) Melanin doesn’t make people smart, its not an inherent trait in DNA that impacts intelligence. Scientists are still conducting research to understand the purposes of neuro-melanin. & to argue that more melanin points to the intellectual supremacy of Black people simply reverses the previous white supremacist hegemonic narrative instead of DESTROYING IT. 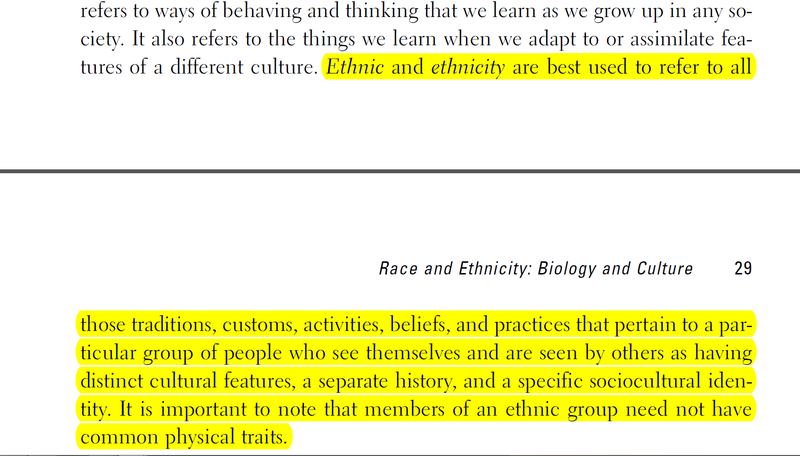 Race is NOT genetic or biological & research has shown that intelligence isn’t simply boiled down to just biology. The narrative that melanin makes people intellectually superior is also problematic since the decrease of neuro-melanin leads to Parkinson’s & Alzheimer’s disease. All mammals have a considerable amount of nuero-melanin to begin with & the pathogenesis connected to decreased amounts is not racially structured, especially since “races” or “subspecies” don’t exist among humans. Since 1972 geneticists have have confirmed that 85 per cent of variation exists within a population. The results of a 2002 study by Noah Rosenberg and showed that differences among individuals account for a 93-95 percent of all genetic variation. They found that race accounts for about 3-5% of human difference. They also found that about half of the alleles appeared in every major population in the world. Only 7.4 per cent of alleles were exclusive to one specific region, and those alleles tended to be very rare. (3) Black women and the Black LGBTQ* are not responsible for the “destruction of the Black race” & to state that femininity makes men weak is cishetpatriarchal & a notion that people of African descent learned from our colonizers. That’s right cishetpatriarchy is a white colonial trait. So homophobia, transphobia, & the strains of patriarchy that the Hidden Colors film makers hold near & dear are colonial, hegemonic, & problematic. To state that LGBTQ* sexuality & gender identities are not African is ahistorical at best & also DANGEROUS. Narratives like these get people killed. Being LGBTQ* is not unAfrican or some white supremacist plot to end Black people; & that’s not even how white supremacy works, but I’ll leave that alone…for now. What is unAfrican, what is dangerous to Black people across the diaspora & on the continent is patriarchy, homophobia, & transphobia. Note: These are scholarly works based on actual evidence that reveal data, historical information, & critical analysis; they are not propaganda created by some larger white supremacist & gay government agenda. I have only been able to find 3 documentaries because of one main fact: NO DOCUMENTARY CAN PUT EVERYTHING TOGETHER THAT WILL HELP YOU OR SAVE YOU FROM THE NARRATIVES YOU’VE INTERNALIZED FROM SOCIETY. Not everything can be learned through a series of political quips & talking points, when it comes to learning about the structures, institutions, & systems responsible for controlling & murdering your people for over 500 years, you have to invest time & energy into learning the truth behind them, because your intersectional life depends on it. The fact is you need to READ!!!!!!!!!!!!! You need to read critically, think critically, research, & find out for yourself. Critical thinking is about active learning. It is about more than the hierarchical banking model of education we are all used to that tells students they are empty & teachers have the sole authority to fill their empty minds with information. Currently Western intellectual traditions utilize the banking model of education to create individuals who passively repeat what they are told as a means of creating a society of well adapted obedient marginalized peoples. You have to move beyond that, learn to question EVERYTHING & find out the truth for yourself. 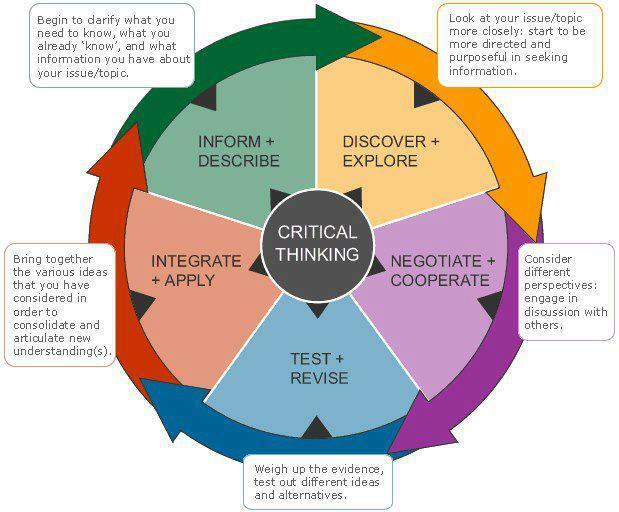 Critical thinking is a form of learning that engages the individual in questions, inquiry, and research. Critical thinking works with creativity as well as imagination. Education is not intelligence. Not all who are educated are intelligent or able to think critically, and some of the most brilliant intellectuals lack formal education. In closing, YOU ARE CORE PARTICIPANT IN YOUR LEARNING PROCESS. Question everything! This is utterly exquisite and necessary. The ahistorical analyses–erasure, misogynoir, homophobia, transphobia, transmisogynoir and classism coupled with cisheteropatriarchal narratives that frame capitalism as liberating and Black patriarchy as freedom–are dangerous beyond measure. It shows the level of which colonized thinking and anti-Blackness has been internalized by many Black people, cishet Black men in particular. I truly appreciate the truth of the resource and thank you so much! You nailed it! Thank you for this. I’m hoping I can share this and have some respectful discourse without personal attacks but…trolls. Interesting. I will say that sometimes putting things in plain English for those to follow and giving us a “starting point” is good. Some of us had no idea that any of these figures were of African descent AT ALL and may give a sense of pride. Thank you though…as one who is waking up and encouraging others to do the same, your model on critical thinking is awesome and I can’t wait to watch the documentaries you have here. You are right: YOU MUST READ and I will do that too. Thanks again!